Sounds a little wacky right? Beard Juice I hear you say?! I myself was a little surprised when I looked at bottles which have pictures of a silhouette of a guy with a beard. When you see the staff you can see why?! They definitely represent the brand and I loved this!! Simple bottles good logo but only a small range of five juices. A small company offering differing flavours, some of which for me I wasn’t sure of. Mind you I have been told I’m a little of a E-Liquid snob. Hey we have all favourites and likes and dislikes I just like to be honest. 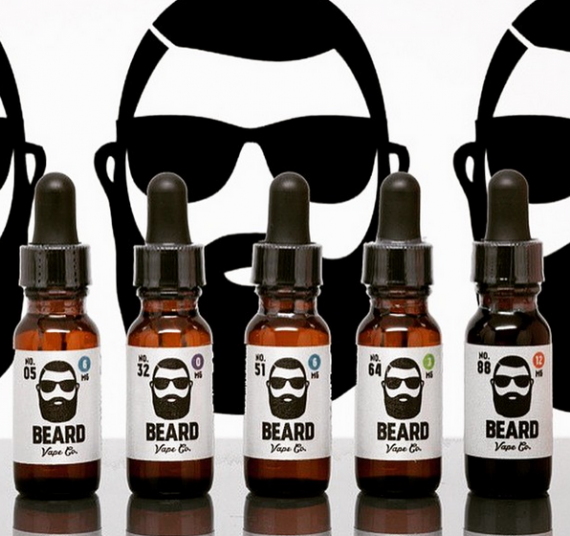 What is Beard Vape Co and their liquid range? 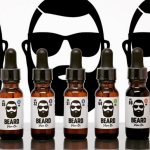 Beard Vape Co. is a company which offers a small range of e – liquids and some apparel for those of you out there of may not know what this means….. Well I didn’t anyway T-shirts and bands etc. No.5 New York style cheesecake with strawberries on top. No.32 A delicious cinnamon funnel cake. No. 88 Mint chocolate cookie. Pricing wise you are looking at $12.99 for a 15ml bottle and $24.99 for a 30ml bottle. Plus postage etc which if outside the USA will cost you more. For me a nice little mixture for such a small range. No.5 was awesome the blend of fresh fruits and cheesecake base yummy!!! No.88 well I hate chocolate flavour in juices but I have to try, well how can you review if you haven’t tried it and …… I actually didn’t find it that bad the chocolate wasn’t overly rich so it seemed to mix a little better with the mint cookie. Would I have it again no, I still don’t like chocolate but that’s just personal taste. The other flavours have really nice blends and they are nice rich thick juices which work well in sub tanks and for those who use drippers. Just an all round nicely blended range. I would definitely like to see maybe a larger range with more fruity flavours and large variation of mixes within juices because I think these guys would definitely be able to come up with more unique juices. Beard Vape Co. was present at VapeJam and what a fun bunch they are. As I said above definitely a representation of the product that’s for sure see the picture of the right hand side and you will see what I mean?! Very helpful and informative. The website of the other hand for me lacks this fun outgoing and friendly vibe. Its pretty bog standard and doesn’t seem to offer much, which is such a shame. I feel it lets down the team alot and all the hard work they do! For me I feel their site is very limited in information about the company and what it stands for. The guys who were at VapeJam were fantastic as this doesn’t come across in the website, which for me is a huge shame. I think the flavours are good and definitely some winners but maybe a little work could be done to strengthen the brand and the juice. Definitely worth a look and I wont let them go unnoticed by me in the future. 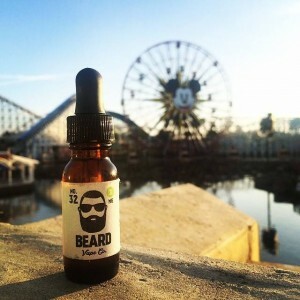 This entry was posted in News and tagged Beard juice, e juice, E-liquid, USA, VapeJam, vaping. Bookmark the permalink.